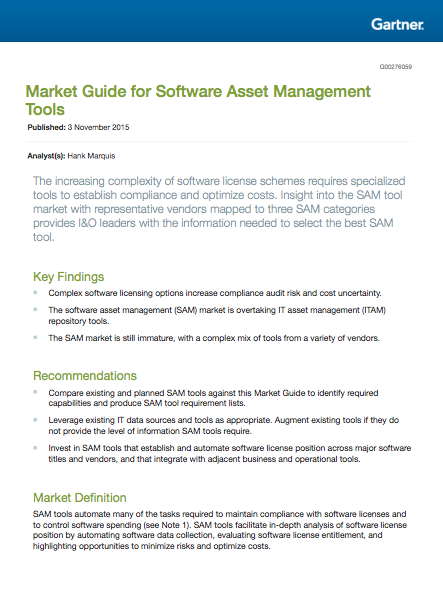 Get your complimentary Gartner Market Guide for SAM Tools today! In its "Market Guide for Software Asset Management Tools", Gartner has identified six key activities that define an effective SAM tool. This guide can help you select a solution that meets your needs immediately and as your SAM program evolves. For a limited time, you can receive a complimentary copy of this report and see how tools from each representative vendor - including Eracent - align with these key activities. Sign up to get your copy today!